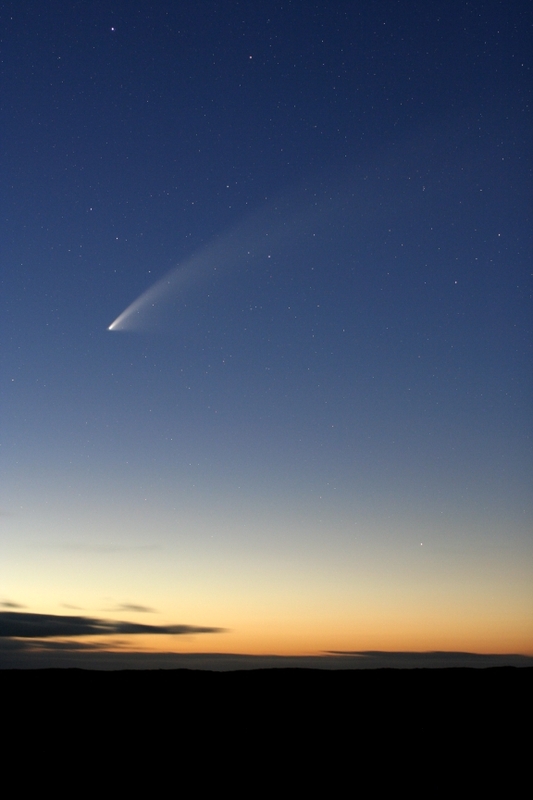 Summary: Comet McNaught swung by the Sun in mid-January 2007. 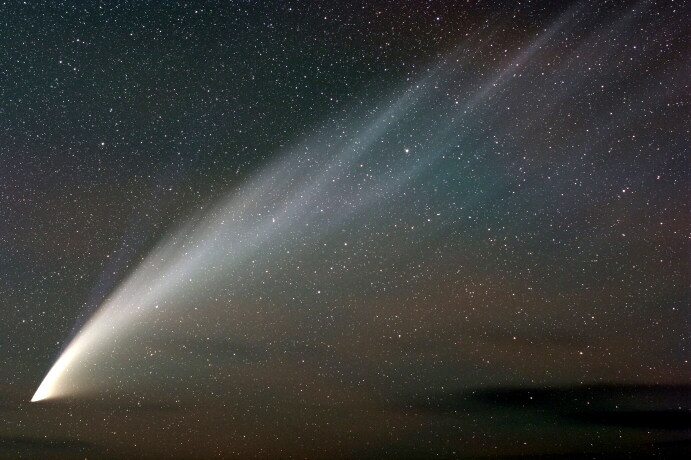 Fierce solar heat turned it into the brightest comet in 40 years; for a few days it was actually visible in broad daylight! 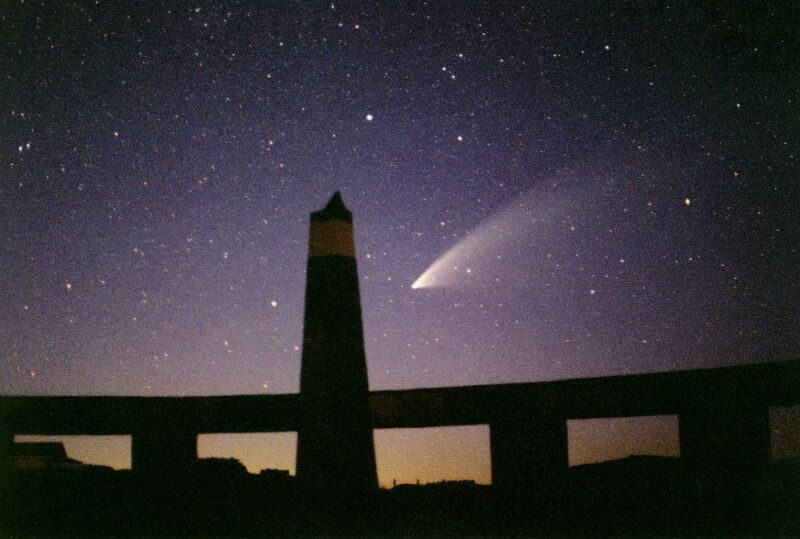 When McNaught emerged from the sun's glare into the skies of the Southern Hemisphere, the tail alone stopped traffic and was mistaken for a brush fire, an explosion, a mysterious cloud and probably many other things never reported. For photographers, it was the photo-op of a lifetime. 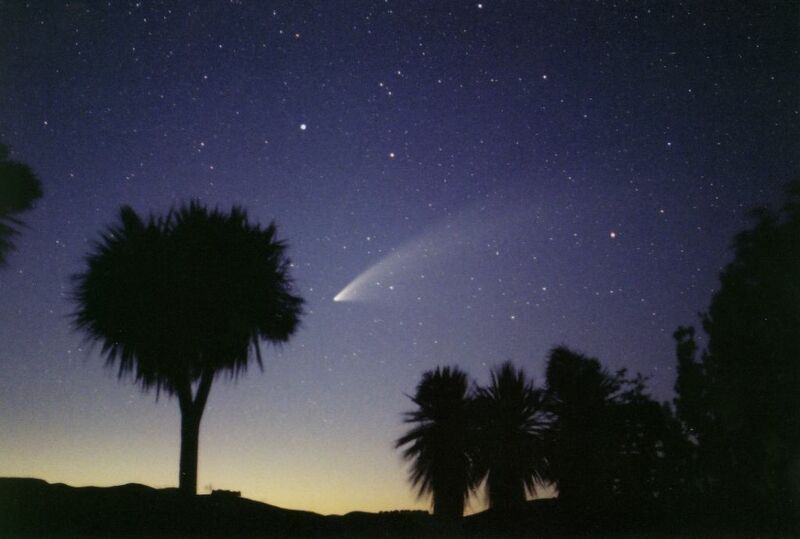 Now Comet NcNaught is receding into the outer solar system never to return -- only the pictures remain. Enjoy the gallery! 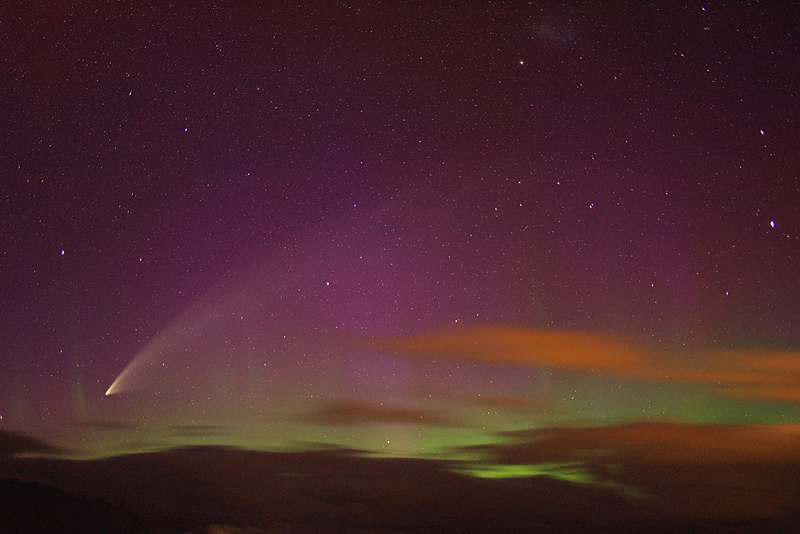 Comet McNaught lost its tail among the Southern Lights during a geomagnetic storm over New Zealand. 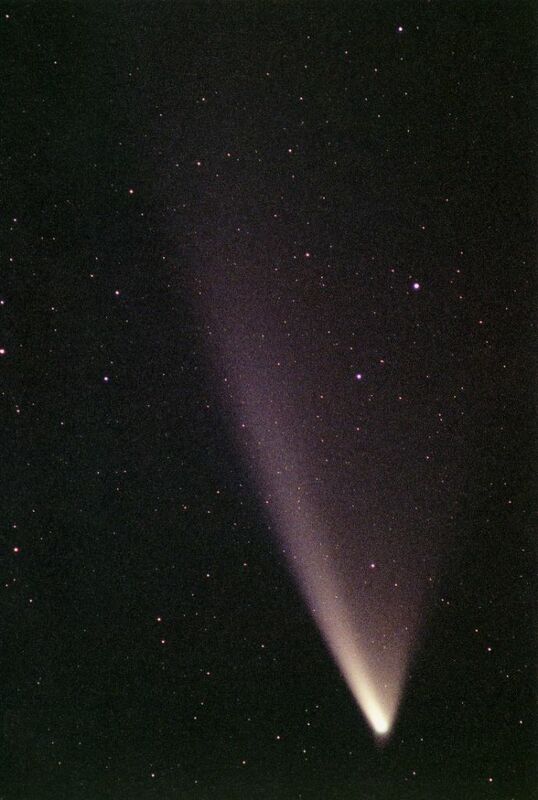 The last hour of true darkness for the comet. This is a view of the southern horizon. Photo details: Canon 10D, 18mm lens, 3 x 3 minute tracked exposures. Panorama created with PTGui. 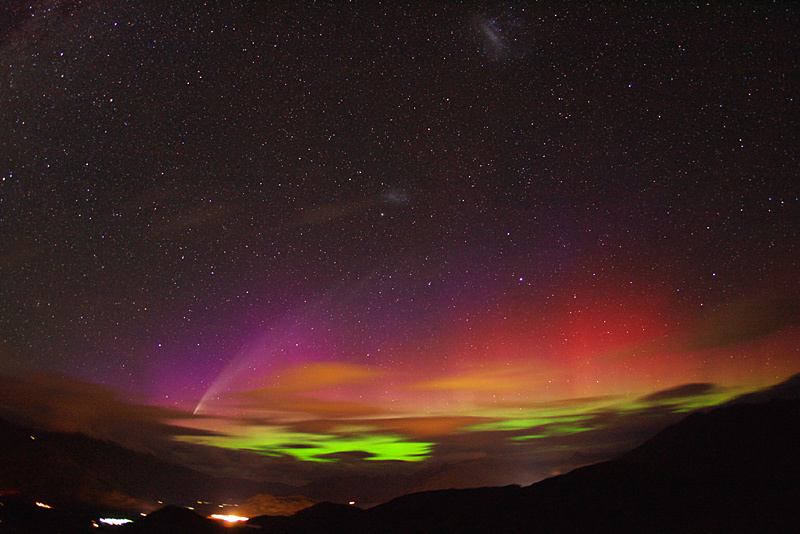 37 km south of Christchurch, New Zealand. 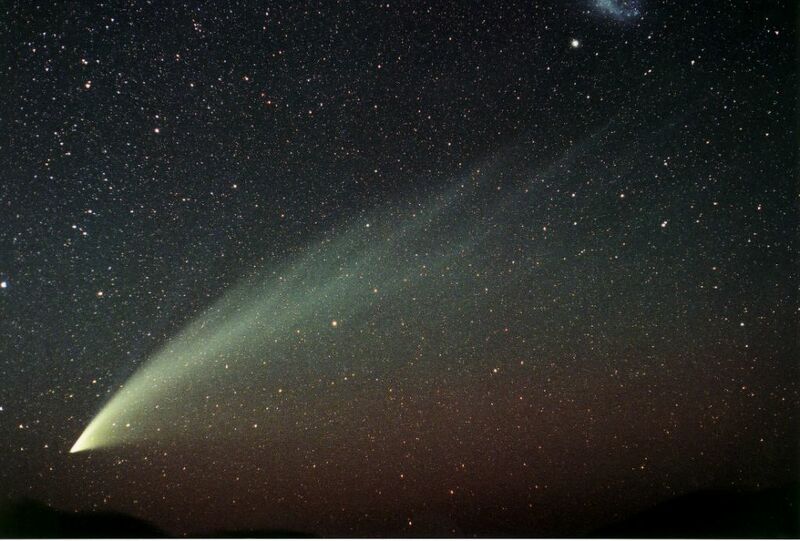 Comet McNaught's magnitude and size of tail are decaying rapidly with significant change Within 3 days, you find that it is fading under the evolution rapidly. 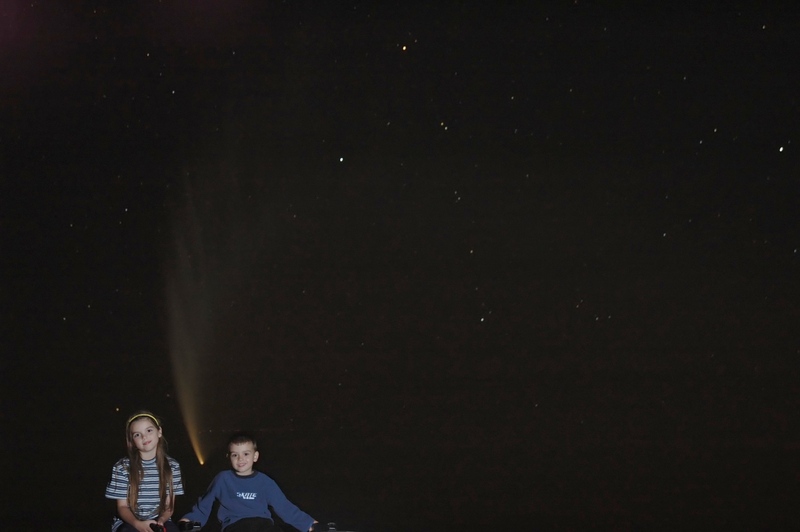 It was just visible by our unaided eyes last night. #1: (25/1/07) Canon EOS 30D, Canon EF17-85mm@17 mm, f/4.5, 1600 ISO, 30s. #3: (28/01/07) Canon 350D, Sigma EX 8mm lens, f/4, 800 ISO, 4 mins. Stonehenge Aotearoa, Wairarapa, New Zealand. 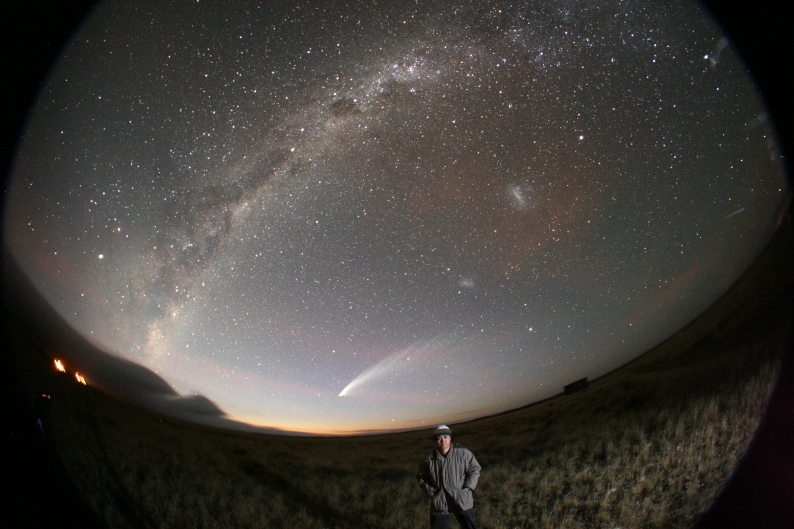 In the last hour of dark sky available I mangaged these photos as the magnificent circumpolar comet, with its beautiful sweeping 30 degree tail, rose in the south east just before dawn from the Stonehenge Aotearoa observatory site. Photo details: Nikon F with a 50mm lens at f/2.8, 12 minute exposure on Fuji Press 800 film. No. 2, 400mm @ f/6.3, 5 mins exposure. No.s 3 & 4, 50mm @ f/2, 40 seconds. 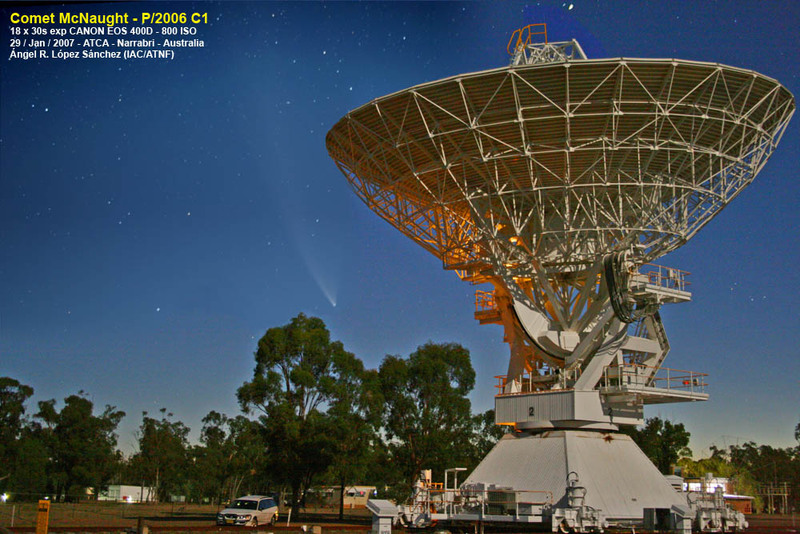 Comet McNaught C2006 P1 and ATCA interferometre (Narrabri, NSW, Australia) Antenna 2 at 10h UT of 29 January 2007. Photo details: This image is a combination of 18 individual frames obtained using a Canon EOS 400D digital camara, 800 ISO, 30 seconds exposure time per frame. 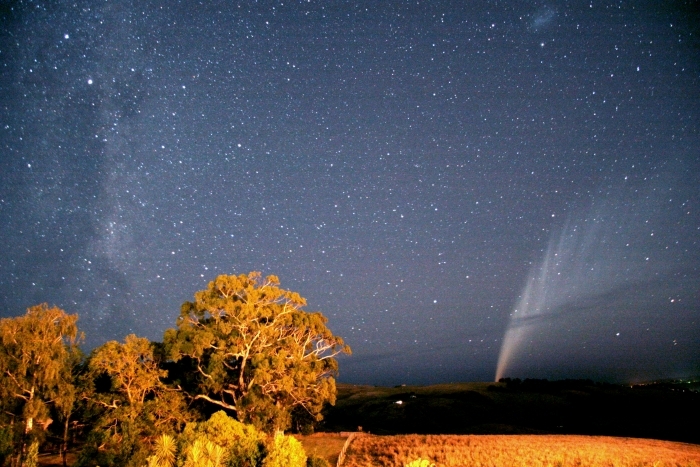 A few km North West of Two Wells in South Australia. A 23 second exposure with a flash at the end to light up the kids sitting on my car roof. Photo details: Nikon D70, f/4, ISO800. Lostock, NSW Australia at the IceInSpace AstroCamp (IISAC2007). 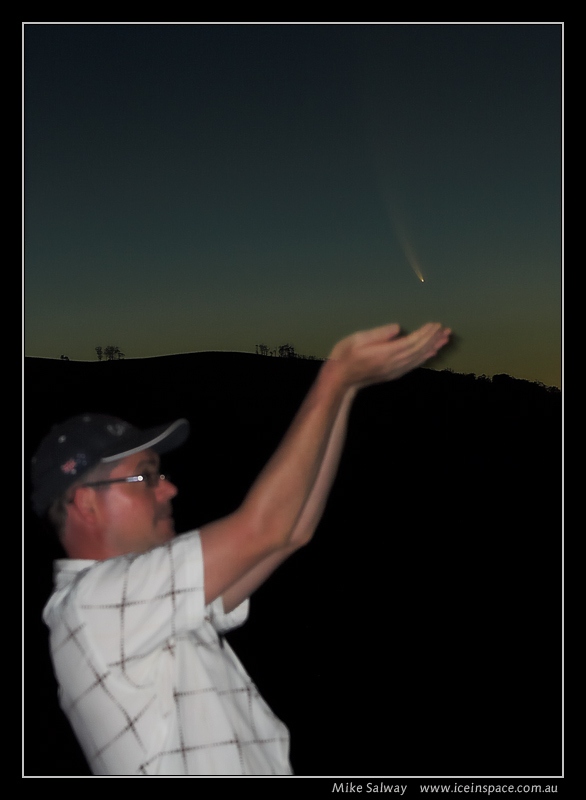 We wanted to try for a novelty shot, with my friend Rod "catching the comet". Photo details: Single exposure, flash used. Canon 350D + 75-300mm lens.